Cross-border finance is developing rapidly thanks to the opening up of China’s capital market, opportunities brought by the development of the Guangdong-Hong Kong-Macao Greater Bay Area. Take Industrial and Commercial Bank of China (Asia) as an example. ICBC (Asia) started its cross-border RMB business in 2013. By the end of 2017, the bank had established a partnership with more than 500 enterprise customers, supported the settlement of near 20 currencies, processed more than CNY36 trillion RMB settlement, had more than CNY30 billion total deposit and achieved double-digit growth in relevant businesses. 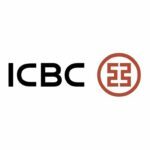 ICBC (Asia) is a licensed bank incorporated in Hong Kong and now has 57 retail outlets, serving as the flagship of overseas banking business of ICBC Group. The total assets of ICBC (Asia) amounted to HK$898.1 billion at the end of 2017. By persisting in the business strategy of “Taking Root in Hong Kong, Connecting with Mainland China, Spanning Across Asia Pacific, and Facing the World”, ICBC (Asia) seizes the favorable opportunities of Hong Kong being the offshore RMB centre, and keenly exploring RMB businesses and cross-border banking services. In the future, ICBC (Asia) will provide diverse low-cost, cross-border financing (covering IPO and bond issuing), all-around cross-border RMB, and cross-border assets management services to promote the establishment of global assets management platforms in Hong Kong. Cross-border finance is developing rapidly, and customers’ needs on Internet finance and new payment methods increase drastically. This brings great opportunities to ICBC (Asia)’s cross-border finance business as well as challenges to ICBC (Asia)’s business systems and its ICT infrastructures. Customers may require the bank to deliver high-quality cross-border services in different modes. By adhering to the objective of “Technology Serving Business, Technology Creating Value” ICBC (Asia) gradually explores a path to develop innovative applications using biometric recognition, blockchain, Big Data, AI, and cloud computing technologies. To better serve its customers, ICBC (Asia) understands customers’ need with providing VIP recognition service, precise sales and marketing strategies, customized products recommendation, and differential pricing. 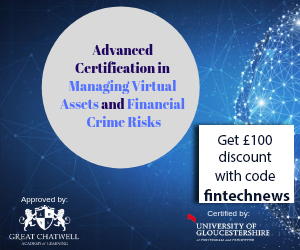 Smart risks prevention and control helps detecting transaction frauds, credit risks and operating risks. In addition, the “management dashboard” supports decision-making, abnormal capital flows warnings, incidents prevention and risks management. In 2016, ICBC (Asia) started to plan and deploy innovative systems by using the latest ICT technologies like virtualization, Big Data, cloud computing, and DevOps. With the help of new architectures, ICBC (Asia) secured an advantageous position for future market competition. Based on ICBC (Asia)’s business and technology development requirements, Huawei provided a number of cutting-edge solutions, such as the Digital Multimedia Banking Solution, Safe Financial Cloud Solution, and the CloudFabric Cloud Data Center Network Solution. 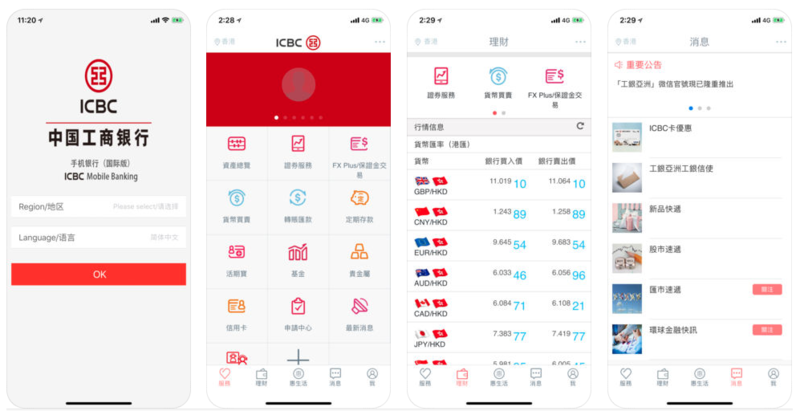 To address the cross-border service mode issue, ICBC (Asia) developed “mVTM system” based on Huawei’s IP Contact Center (IPCC) Solution, allowing customers to have video conferences with their financial advisors via the ICBC(Asia) apps, and getting professional financial advice anytime and anywhere. The solution has many unique features, such as multimedia access, automated service processes, and an intelligent routing platform that can assign incoming calls to the most appropriate agents. With the above unique features, IPCC will provide text messaging, voice call, and even video interaction services. 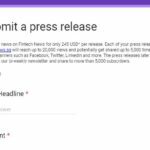 This not only greatly improves customer experience, but also enables service back tracking to ensure the service provided fulfilled regulatory compliance. In the future, ICBC (Asia) will develop a 24/7 omni-channel intelligent customer service system to answer customers’ enquiries. This Chatbot system will be able to process voice commands in Mandarin, Cantonese (the principal language of Hong Kong), and English, improving ICBC (Asia)’s service operating efficiency and customer service quality. Banks are in constant pursuit of security and agility, while these two needs were somehow conflict in the past. Take document encryption and internet safety as examples, cyber-attacks threaten banks’ intranets and sensitive data while daily work data sharing to third party may lead to confidential information leakage that these will bring significant loss to both the bank and its customers. For this case, ICBC (Asia) worked with Huawei to improve employees’ working experience and protect internal sensitive information security at the same time. Huawei is the only vendor in the industry to provide holistic ICT solutions that cover from desktop cloud protocol software, to virtualization software, servers, storage units, firewalls and networks. Huawei deployed more than 100,000 desktop cloud accounts internally, served 180,000 of its employees, and accrued extensive experience during the process. With Huawei’s assistance, ICBC (Asia) achieved fine-grained security management (by user, region, and resource), security authentication and verification, as well as sliced data transmission and storage. Huawei’s comprehensive “Cloud-Pipe-Device-Control” security protection system improves service systems’ reliability in management nodes and user connections. The new O&M system features rich functions and simplified wizard operations, maximizing O&M efficiency and lowering relevant costs. ICBC (Asia) staffs can back up important files and data to Onebox regularly for easy data protection. This is the first trial of the cloud office infrastructure transformation which dramatically improved security and efficiency of ICBC (Asia)’s office works. 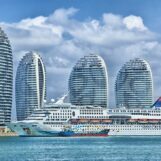 In the near future, Huawei will use desktop virtualization technology to help ICBC (Asia) isolate browsers from service systems and the intranet from the Internet. This will effectively protect ICBC (Asia)’s ICT systems from cyber-attacks and prevent disclosure of sensitive data (such as customer cross-border financing data and global assets data). 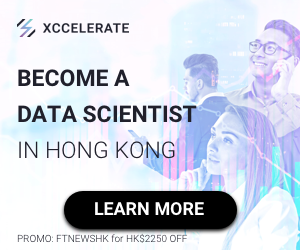 The growth of cross-border finance introduced higher requirements on data storage reliability, data center network speed, and overall system stability. Statistics show that China’s large commercial banks and insurance companies have an average of more than 100 TB data in their databases. To address the Internet finance challenge, financial institutions are now using data to drive business innovation. Data centers, once served banks as support centers, now shoulder the responsibilities of creating value and profits. ICBC (Asia) built its service systems based on traditional data centres and classified service sectors by business, formulated complicated security strategies. The rapid increase of service types and capacities brings new requirements on flexible deployment, dispatching, migration, and management of service resource pools. The traditional network architecture becomes a choke point that hinders business development. ICBC (Asia) leverages standard, open network technologies, and new data centre architectures to set a solid foundation for a strong neural network system. At the controller aspect, Huawei deploys its Software Defined Network (SDN) controller and Agile Controller based on the open-source architectures, such as Open Network Operating System (ONOS) and OpenDaylight (ODL). ICBC (Asia) used Huawei’s Agile Controller to replace its existing private network architecture and protocols. This protects ICBC (Asia) from vendor lock-in and allows more top-notch ICT companies to participate in the bank’s network development. 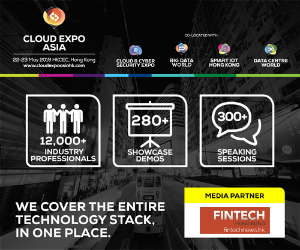 ICBC (Asia) is now able to access the OpenStack-based cloud platform, share computing resources and value-added services across data centers, enjoy multi-service convergence, and flexibly expand and upgrade its solution in the near future. Based on existing equipment, Huawei developed the data center network that supports linkage with virtual platforms and evolution towards cloud-network collaboration. With Huawei’s solution in place, ICBC (Asia) can upgrade its network and retain many of its legacy network devices. This maximizes the return on ICBC (Asia)’s historical investment, meeting the bank’s requirements on long-term development. Huawei’s solution, based on the spine-leaf architecture, uses the Agile Controller and CE Series Switches to help ICBC (Asia) smoothly complete cloud computing evolution. The project is carried out phase by phase and won’t involve mass software or hardware replacement. In the future, ICBC (Asia) can choose to reshape its data centre network and build an SDN. Should this happen, service systems will be able to share network hardware resources. That is to say, these systems will be logically isolated from each other to ensure security, and share IT resources to improve resource usage and service deployment efficiency. Tang Bin, General Manager of IT department of ICBC (Asia), said that ICBC (Asia) recognized Huawei’s technologies and product quality, and was satisfied with Huawei’s support and service abilities. ICBC (Asia) is using scientific innovation and the latest technology to drive business upgrades and development, and promote the extensive convergence of modern information technology, and banking business operations and development. Hong Kong is now actively developing FinTech. ICBC (Asia) will seize this opportunity, work hard to build its ICT systems into its core strength and important support in offering financial services. With Huawei’s technological support, ICBC (Asia) is confident to achieve all-around improvement in management, services, and innovation, also to meet the increasing needs on customer services, internal management, and external regulatory compliance. ICBC (Asia) will continue its endeavor on improvement and strives to become your preferred bank in cross-border finance.